The G7 Support Group is a unique initiative that reflects Ukraine’s strategic importance to the Western world - but is it an effective tool to support reforms? Since the historic events of 2014 set Ukraine on a path towards Euro-Atlantic integration, the country’s international partners have aligned themselves into a variety of formats to support the Ukrainian reform process. One of the most significant initiatives has been the creation of the Ukraine Support Group, which brings together the embassies of all G7 member states in Kyiv. This “dream team” of Ukraine’s Western partners includes the US, Germany, Canada, the UK, France, Japan and Italy. The Support Group has already played a prominent role in support of key reforms including e-declarations, healthcare reform and pension reform. This role is likely to increase in the coming months as Ukraine’s leaders struggle to strike a balance between the political practicalities of looming presidential and parliamentary elections and the need to maintain the country’s reform momentum. The G7 Support Group concept is unique to Ukraine. It is a prototype that some regard as a kind of diplomatic experiment. Established during Germany’s 2015 chairmanship of the G7, it is specifically designed to support reforms in Ukraine. Many see this initiative as evidence of Berlin’s commitment not only to peace in eastern Ukraine via Chancellor Merkel’s role in the Minsk agreements, but also to the country’s successful transition. It is perhaps worth emphasizing that goal of the Support Group initiative is not to address the ongoing conflict in Ukraine. “The G7 Support Group is not about security, not about Donbas, and not about Crimea, but about reforms,” ​​one of the diplomats interviewed for this article underlined. The public dimension of the Support Group’s activities is largely visible through statements on specific reforms in Ukraine. Less public aspects of Group’s work include meetings with key actors in the reform process in Ukraine and directly with the Ukrainian President. These presidential meetings have not been particularly numerous so far. The Support Group met with President Poroshenko four times during the Japanese chairmanship in 2016, and just once during the Italian chairmanship in 2017. Since January 2018, Canada has taken on the rotating chairmanship of the G7. This has led to significant expectations in Kyiv due to the high levels of bilateral partnership between Ukraine and Canada since the Revolution of Dignity and the beginning of Russian aggression in Ukraine. It is also worth recalling that Canada initiated Russia’s ejection from what was then the G8 back in 2014 in direct response to Russian aggression in Ukraine. Since the first days of its chairmanship, Canada has been demonstrated a desire to significantly strengthen the role of the Support Group. According to representatives of other G7 countries, efforts are underway to achieve a certain “institutionalization” of the Group. Under German leadership, the Support Group served in many ways as a platform for informal communication. However, since January 2018, G7 ambassadors now meet every two weeks on Wednesdays. Furthermore, regular meetings have been set up at the expert level between diplomats from G7 embassies. As one of the G7 ambassadors commented, G7 ambassadors now enjoy higher levels of coordination in Ukraine than in any other country globally. Canada has identified five priorities for its chairmanship. Unsurprisingly, the fight against corruption leads the list, along with support for economic growth, effective governance, human capital development, and Ukraine’s defense capabilities. If we analyze these stated priorities, we will see that they closely mirror the Ukrainian government’s own stated agenda until 2020. Although all five priorities are important, individual diplomats informally name the establishment of an Anti-Corruption Court as the key priority for the current year. Efforts are underway to review the Support Group’s style of work. Some G7 ambassadors have grown concerned that the initiative has evolved into a rapid response group with a clear anti-corruption focus. According to the diplomats, the Support Group is neither a rapid response team nor an exclusively anti-corruption initiative. G7 diplomats are also keen to avoid accusations of taking sides. “In previous years, we have sometimes become victims of the rival agendas of the government and civic society,” stated one G7 ambassador. Nevertheless, it is sometimes difficult to maintain this position. Whereas there was once a clear dichotomy between the government and the country’s political opposition in the discourse with Ukraine’s international partners, G7 ambassadors today see the authorities increasingly at odds with civic organizations, which, obviously, is a rather disturbing trend. There is also a desire to establish new parameters for communication with President Poroshenko, with efforts to establish a strategic dialogue rather than simply reacting to specific issues. There is reason to believe this approach would win favor on Bankova. The Presidential Administration has often expressed surprise over bilateral issues appearing on the agenda within the “G7 plus Ukraine” format. Meanwhile, sources within the Ukrainian government stress the importance of moving beyond the student-teacher format of relations and structuring meetings on an equal partnership basis. To ensure a more substantive reform dialogue, G7 ambassadors should also consider proposing a format of monthly meetings with the Prime Minister, who, as the head of government, holds the reform portfolio. The Support Group’s activities are most visible in its statements in relation to developments in Ukraine. These statements tend to be negative, often criticizing a perceived slowdown and backtracking of certain reforms. This presents perception challenges, as does the relatively high frequency of such statements, which has at times threatened to devalue the G7 position. “The purpose of our statements is not to criticize the authorities of Ukraine, but to promote reforms,” ​​said one G7 ambassador. There is a strong argument for moving towards discreet diplomacy and reserving public statements for exceptional situations. Joint G7 statements should remain in reserve and should represent a manifestation of extreme concern from the collective West. Instead of immediately publishing statements, it would be advisable to hold closed doors meetings with the relevant stakeholders and discuss the situation. The principle is simple: first dialogue, then statement. An example of this approach would be the meeting with Interior Minister Arsen Avakov on 2 February organized by G7 ambassadors after the appearance of the so-called “National Militia” on the streets of Kyiv. Approaches towards engagement with civil society are also coming in for renewed consideration. There are suspicions among some in government that civic organizations and ambassadors tend to operate in a coordinated way, leading to unhelpful perceptions of the Support Group as an instrument of certain activists. In reality, the dialogue between G7 embassies and Ukrainian civil society defies such simplifications. For example, some G7 diplomats argue that civil society representatives should focus on communicating with Ukrainians in the regions rather than prioritizing engagement with Western embassies. Last year saw efforts to strengthen the Support Group through the introduction of special envoys for specific areas of Ukraine’s reform agenda. After talks with President Poroshenko, Chancellor Merkel announced this initiative at the G7 summit in Taormina. However, several countries including the US and the UK remained skeptical about this idea. In the end, only Germany appointed a special envoy, with former Saxony Prime Minister Georg Milbradt taking on the role. According to some sources, Chancellor Merkel personally selected Milbradt and identified decentralization reform as his key focus. He has visited Ukraine at least five times since summer 2017 and is actively lobbying for the adoption of a package of 17 bills on various aspects of decentralization by the Ukrainian parliament. In a recent interview with Deutsche Welle, Milbradt claimed that if this package of bills does not secure approval in the near future, the window of opportunity for decentralization reform could close for the next four years. Given the modest response to the idea of ​​establishing special G7 envoys, Canada is instead looking to introduce the position of G7 coordinator for reforms for Ukraine for the duration of its chairmanship. Ottawa is currently engaged in selecting a candidate for this role. 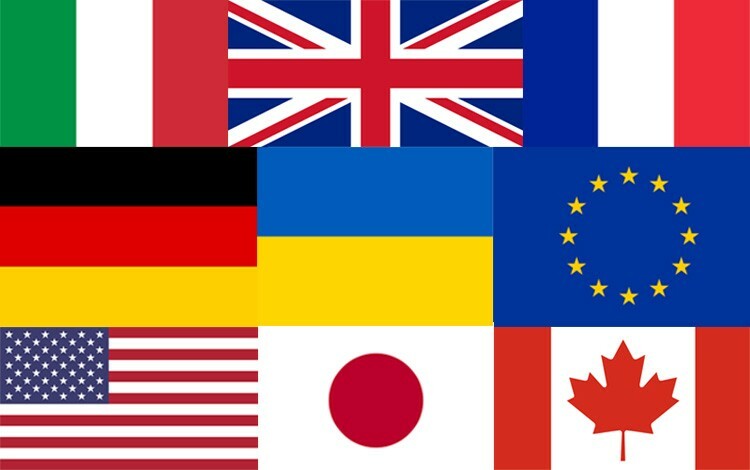 The G7 coordinator for Ukraine could contribute to closer interaction between the global Group of Seven and the Support Group at the Kyiv level. This coordination is crucial in order to ensure that there is no impression in Kyiv of the existence of two parallel agendas for Ukraine: one taking shape in the Western capitals, and the other within G7 embassies in Kyiv. Coordinating the positions of the G7 Support Group with other major international actors and donors is equally important. While the European Union is represented by the participation of the EU Ambassador during meetings of G7 ambassadors, it is also vital to consider the positions of Norway and Switzerland – both important Ukraine donors who are neither members of the G7 nor EU member states. By consolidating their voices, the G7 Support Group and fellow leading donor nations can make sure they continue to play an important role in the context of the reform program. About the author: Alyona Getmanchuk is Director of the New Europe Center. The author would like to express her gratitude for the interviews conducted during the preparation of this article to Ambassador of Canada to Ukraine Roman Waschuk, Ambassador of the Republic of France Isabelle Dumont, Ambassador of Japan to Ukraine Shigeki Sumi, Deputy Ambassador of Germany Wolfgang Bindseil, representatives of the US Embassy in Ukraine, and representatives of the Presidential Administration of Ukraine.